Whew & Wow! 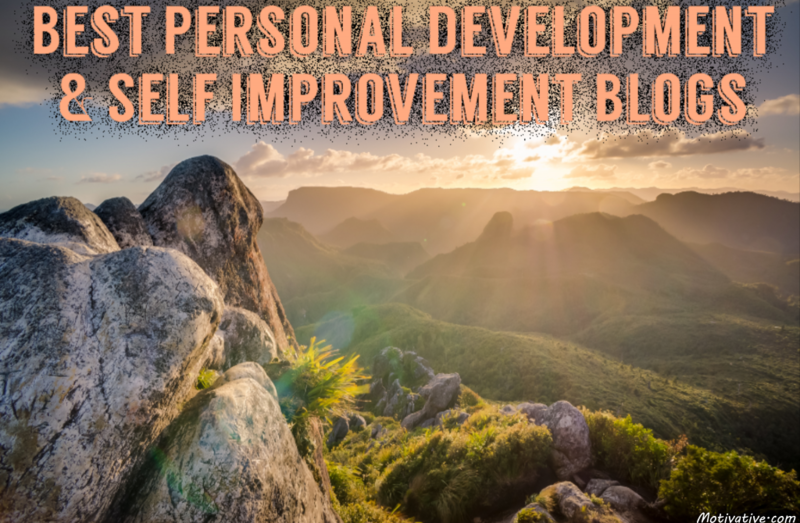 It was an enjoyable task putting together this extensive list of the top personal development & self-improvement blogs. Congratulations go off to the bloggers as your sites are listed here because they are high quality resources providing value to your readers. Currently there is over 130 blogs on the list! I didn’t want to only list the top 100 as quite honestly my opinion is likely different than others. I do have a number of favorite blogs however. I also wanted to make sure the blogs are actively posting new articles. If they haven’t posted new stuff in months – they aren’t here. Many are focused on niches as well like leadership, minimalism, motivation or productivity. You also will notice that sites will vary from having blog posts written solely by their founder to having multiple authors providing posts. I also want to congratulate those here who are seeking ways to improve your lives. Feed your mind with the words of wisdom from these personal development & self-improvement websites. Add your favorites to your feed reader & subscribe to their newsletters. Use them for curation on your social media accounts. Like the list? Please share this page with others & like/follow our social media accounts as well. Thanks for being here & make sure you always continue to better yourself! My favorite site for writers of personal development & self improvement related posts is Medium. I like them for my other interests as well. When you sign up at Medium, you “Follow your interests” which include tags, publications and people. If you enable it, you can get daily or weekly reader/writer digests emailed to you. It includes new stories written and recommended by people you follow on Medium. This is a great way to find new people to follow as their blog stories are being recommended by people you follow. I truly look forward to getting this email digest every day. Of course when you visit Medium.com, your front page is personalized for your interests as well.